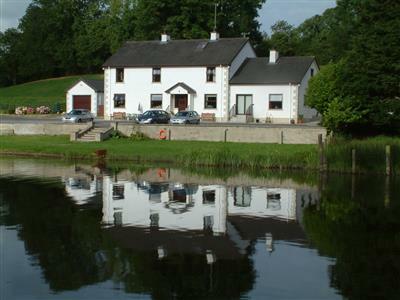 County Fermanagh Bed and Breakfast wherever you go has a wonderful quality and here we will look at some of the the best voted by travellers on trip advisor . You will most definitely receive a personal touch in someone's home, and more often than not, this is a real bonus. What do I look out for in Bed and Breakfast in Ireland? For anyone on a budget who is touring the country and spending some time in each location, Ireland Bed and Breakfasts are often hard to beat. In Northern Ireland (counties of Fermanagh, Tyrone, Armagh, Down, Antrim and Derry-Londonderry) the Tourist Board inspects each of its recommended B&B's annually with the exception of Donegal. In County Donegal they are regulated and inspected by Ireland's Tourism Quality Services (look for the shamrock seal of approval), many operate outside the regulation system. Those without governmental supervision or approval are not necessarily worse than those stamped with the green shamrock. What Price are Ireland Bed and Breakfast? The average cost for a room with private bathroom in guest houses in Ireland is as competitive as the popular Premier inn roughly £35 sterling or €45 per person per night. Obviously, some B&Bs charge less than this, some charge more. While each year more and more B&Bs accept credit cards, many still do not -ask in advance. So if you are travelling in County Fermanagh or staying anywhere in northern Ireland here are some top class places for their service , welcome, and wonderful accomodation. 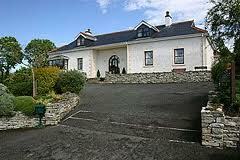 One of Fermanagh selected Bed and Breakfasts this is an amazing place-just perfect. Beautiful surroundings by the river, peaceful and quiet, lovely welcoming people. 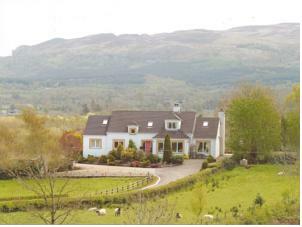 Another of Fermanaghs Bed and Breakfasts selected for a great location, beautiful views, welcoming hosts and delicious breakfast.